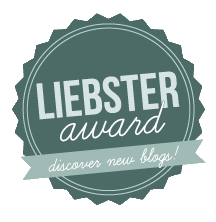 So today I did something slightly unusual! At work, I'd noticed a sign that had been dropped in for us to hang up about a local Psychic Fair. Yep! Psychics - so like palm reading, crystal healing, tarot cards...that kind of thing! Having a reading is something I've always wanted to try. It's not something I particularly believe in, but I wanted to give it a go! 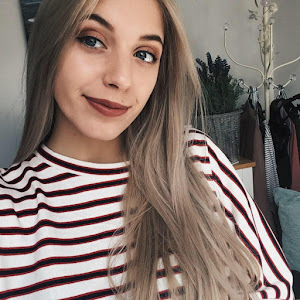 So my friend Sophie (who's amazing blog you can check out by following this link >>> http://livelaughlovewithnoregret.blogspot.co.uk/) and I walked up to the fair, paid our £2 entry free and had a little explore! The craft stalls were full of healing crystals and pendants. We even tested a 'positivity spray' - which I can't really say made me feel any more positive than I already was...and it smelt a bit weird! But anyway, we tried to get a reading done but a friend of mine let us know that they were £30! Me being me, I wasn't willing to pay that for someone who possibly had no idea what they were talking about! So instead, I bought a couple of things and I thought I'd share it with you all. 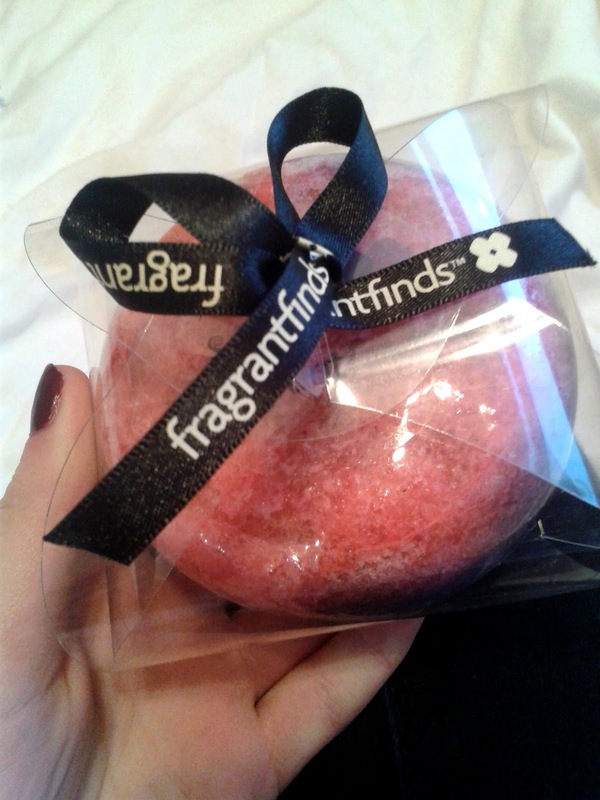 This here is an FragrantFinds exfoliating sponge! It smells absolutely divine and it's pretty unique too. The front (pink side) is for exfoliation and works well on all skin types! Now here's the twist...the bottom (purple side) is as soft as a sponge. It's basically a two-in-one product! It's homemade with natural ingredients (including those for colouring and fragrance) and has a very fruity scent! The way the colours dissolve into each other is really nice and the packaging is simply cute, but sturdy! I ended up buying this as a Mother's day present for the small price of £5.50. 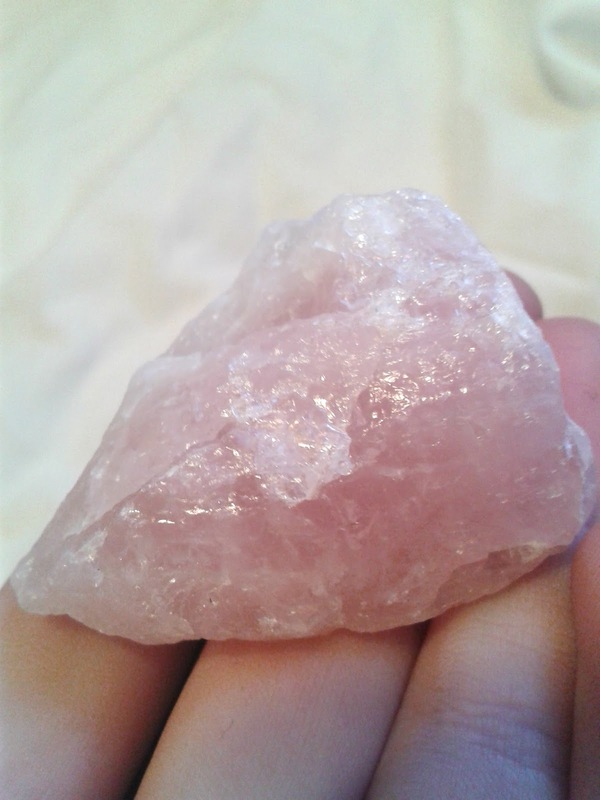 I then bought myself a little rose-quartz stone! The colour drew me to it as it fits in with the colour scheme of my light pink/white vintage style bedroom. It was only £2.50 (but the woman didn't give me change so I paid £3!!!) and is a perfect little decoration for my room. It also has quite a deep meaning behind it...the stone is meant to bring more self-love into your life as well as femininity, compassion, peace and comfort. 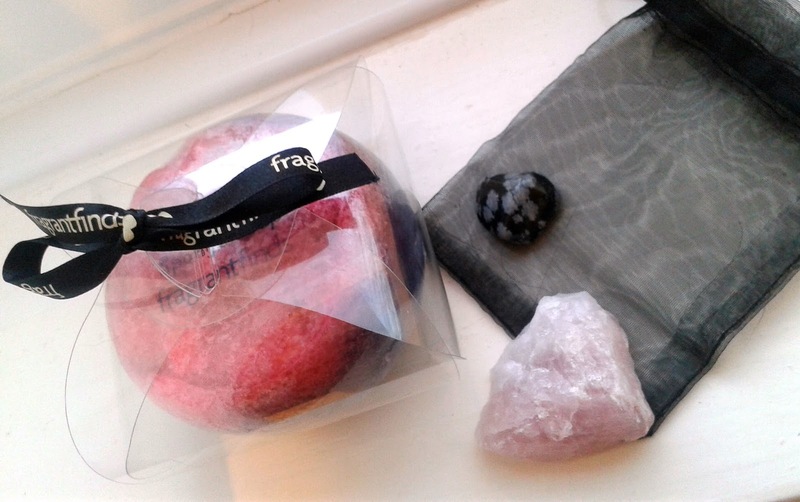 I'm not exactly sure how a stone can bring all these things into my life and personality (although according to the woman I have to wait for a full moon for it to harness enough energy) but I didn't think there was any harm in having an open mind about it if I was going to buy it anyway! The final thing I purchased was a star sign stone! I was born on the 24th of December so that makes me a Capricorn. Although I don't necessarily believe in psychics or ghosts, horoscopes are something I do actually think has some truth to it. It seems that whatever is predicted for me, as a Capricorn, happens! I even have the exact personality traits of a conventional Capricorn. Anyway, I came across these star-sign stones all divided up in a nice little box. The fact that this stone is black and grey is another thing to fit my personality. 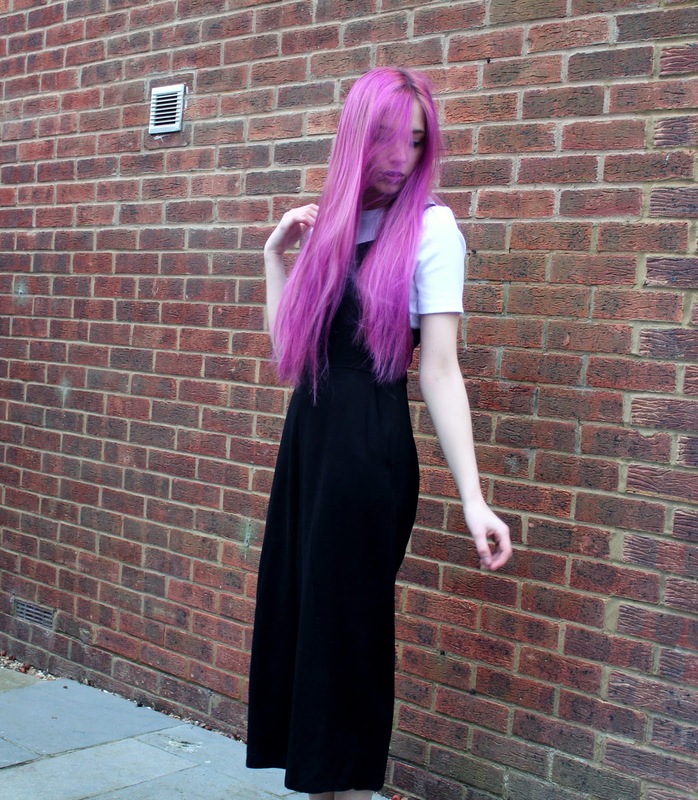 My style is very monochrome and minimalistic. Sophie and I were even saying the other day that blacks, whites and greys are 'my colours'. 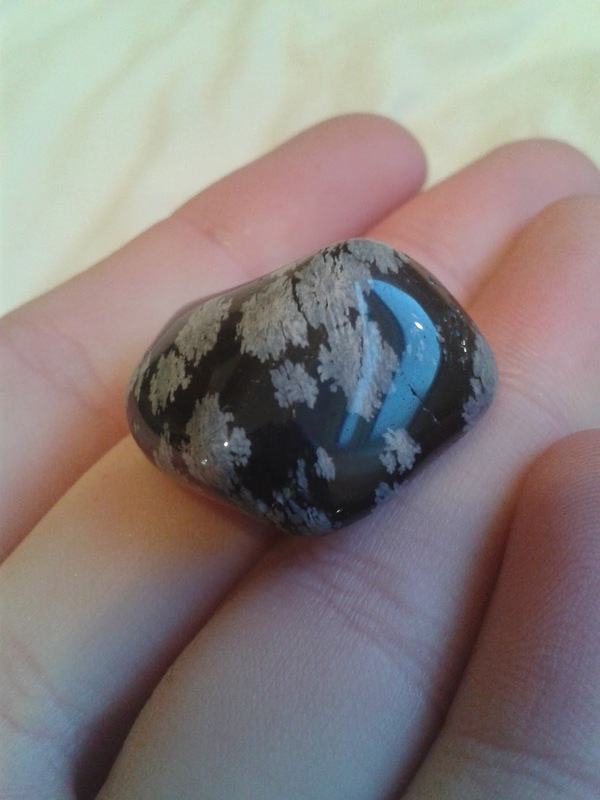 I thought it was so weird to see my personal style represented through a Capricorn stone so I bought it for 50p. Maybe I'm a complete sucker for buying things just because they're there and not because I need them, but I definitely loved the things I bought at the psychic fair today! I was disappointed about the price of the readings so I probably wouldn't go again, but the cute little trinkets and mothers day present I came out with was great! That sponge sounds really interesting, great find! sounds really cool & what you got looks interesting!